Every year, more than $10 billion in federal funds is allocated to Virginia and localities based on census data, either directly or through Census population estimates. The potential undercount of children deeply impacts Voices for Virginia’s Children. We rely on accurate census data to track and measure child well-being over time. We use this data to support our policy advocacy. If the data is undermined in any way, our advocacy is in jeopardy and our ability to improve the lives of Virginia’s children is impacted. Virginia receives federal funding for several programs that impact the well-being of children, many of which rely in part on the accurate count of everyone. Without an accurate count, we stand to lose federal support for programs that mean a healthier start for children. The last Census missed about 2 million children. Learn more below! Almost 4.5 million children under age five live in hard-to-count neighborhoods. It is widely believed that poor households are difficult to enumerate, and young children have a higher poverty rate than any other age group. Some young children may go uncounted because they live in large and complex households. In 2010, nearly a quarter of young children lived in households of six or more people. Some young children have complicated living arrangements, moving often among various relatives or caregivers. Foster children, children living with grandparents or other relatives, and children whose parents are cohabiting but not married are also more likely to be missed. A recent study found 40 percent of all children under age five lived in a household with complex living arrangements. The figures are higher for Black children (50 percent) and Latino children (55 percent). 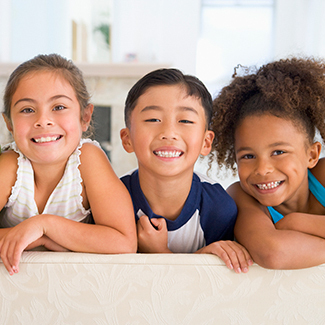 Young children in complex households may be left off the Census questionnaires because respondents are uncertain of whether or not to include a young child as a household resident. Language barriers also contribute to the undercount of young children in households where people speak a language other than English. In 2010, one-quarter of young Latino children lived in a linguistically isolated household where adults had difficulty speaking English. The undercount of young children has a number of serious consequences for children, and many of those consequences last for at least a decade. Check out our blog series here to learn more!